William P. Bell interest in golf course architecture began early in life and led to a successful career in the profession. He studied agriculture in Pittsburgh before moving to California in 1911. He accepted a position as a caddiemaster at Annandale Golf Club before moving to Pasadena Golf Club as head greenkeeper. Bell’s first stop in golf architecture came when he worked as superintendent for Willie Watson before starting his practice in 1920. Bell quickly earned a strong reputation as a golf course architect, with a heavy influence along the West Coast. His son, Billy Bell II, joined his father’s practice and helped leave their mark with over 300 golf course designs. 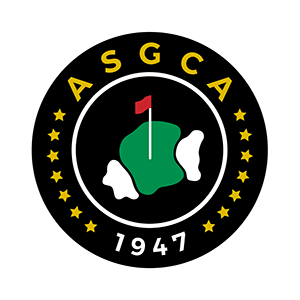 Bell was one of the 14 founding members of ASGCA in 1947 and served as ASGCA President from 1952-1953. He remained an ASGCA member for six years until his death in 1953. For more information on William P. Bell and his father, please contact Forrest Richardson, ASGCA.